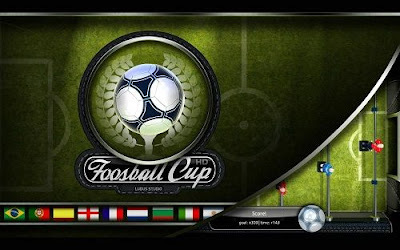 Foosball Cup is a game also made by Ludus Studio, but it is not as good as the game above. 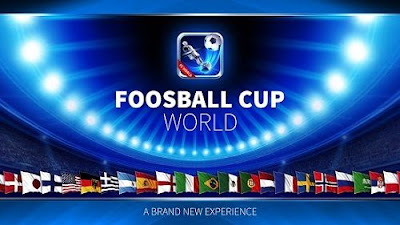 The main advantage of this game is the fact that you don’t have to collect points or win special matches to unlock features because everything is unlocked. All you have to do is choose the table, size, player formation and difficulty and start the match. The only real downside is the ball because it is too big for the field, but I think that you can adjust to that. The name of this game may confuse you. 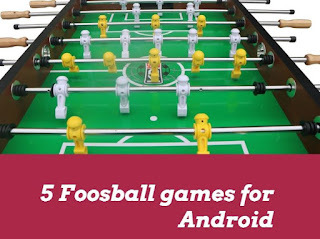 I am referring to the Foosball 2013, but in the Google Play Store, it is just Foosball. Foosball 2013 is the name of the game when you download it. If I have confused you now, the best way to choose this app is the name of the developers - White Collar Game. You can’t go wrong there. If we forget the name confusion, the app is pretty good. I believe that it is made for hobby players because you can’t choose the table parts like players and ball, but you can choose the difficulty and the duration of the match. Also, it is very easy to control the ball with the players. You just have to touch it with the players. The Android developers who made this game are called NAVU. It is another game for hobby players, or even for kids because it doesn’t have many options. The only option you have is to choose the game mode and that is the moment you start the game. 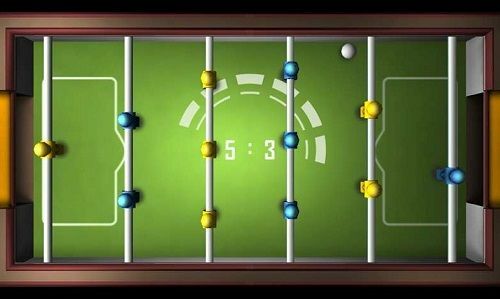 Also, you control the players with arrows and not by spinning rods, which is not usual for foosball apps and I am not a fan of that. It has the similar name to the 1st app only the words are mixed. Don’t worry you won’t confuse them; you can see the difference from far away. This app is very simple it looks like a low-budget app. You can choose the game mode, the difficulty and who to play with and that is all. I am also not impressed with the gaming experience. The ball flies across the field and you feel like you are playing pinball, not foosball. Author’s bio:Mark is a foosball player for several years now and he has decided to make a foosball themed blog called the Foosball Zone. 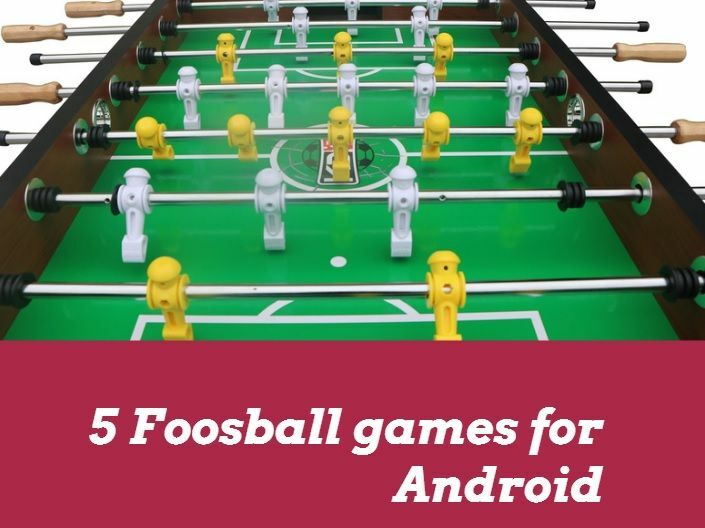 On his blog, you can learn a lot about foosball, from a theory like the foosball history to practical knowledge like how to maintain your foosball table.